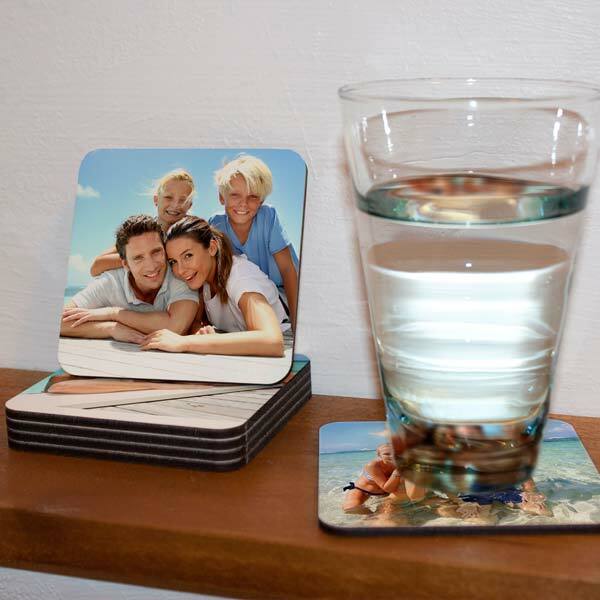 Personalize your own coasters and create the perfect accessory for entertaining guests, or simply relaxing with a cold drink with friends at home. 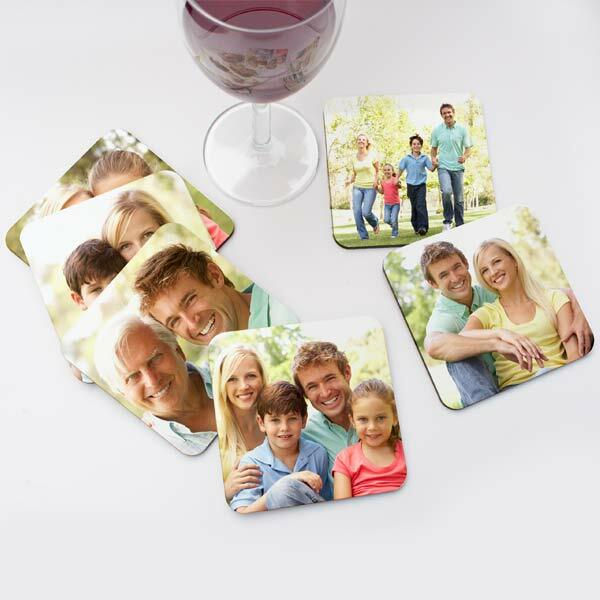 Our custom coaster set includes a quantity of six coaster which can each be personalized with a different layout of various photos. Print your pictures edge to edge or choose from one of our many stylish templates to compliment your photographic treasures. Print Shop offers a wide array of personalized kitchen accessories. Make photo apron gifts or a personalized photo cutting board using your favorite photos and add character to your kitchen decor!